Make the BIC (R) Media Clic (TM) retractable ballpoint pen a promo star at your next event! Assembled in the USA, this classic implement features a comfortable gripping section, a white barrel and section, and a medium point. 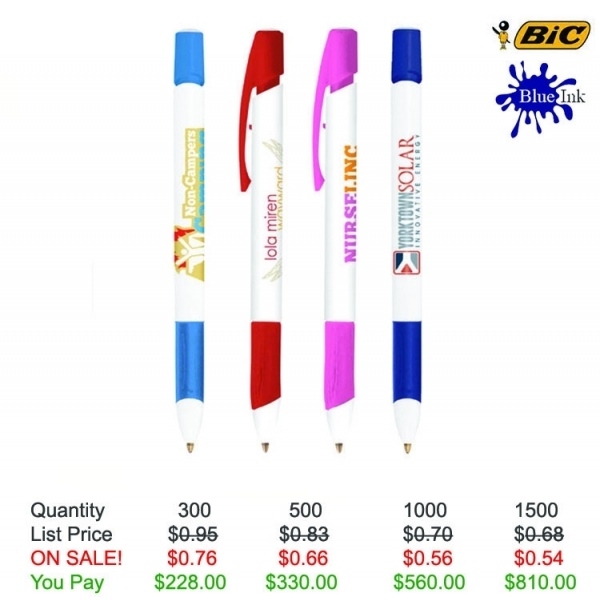 A silkscreen of your custom imprint on this pen will spread your company's message everywhere it gets used! It's a perfect promotional pitch for any business, project or venue. 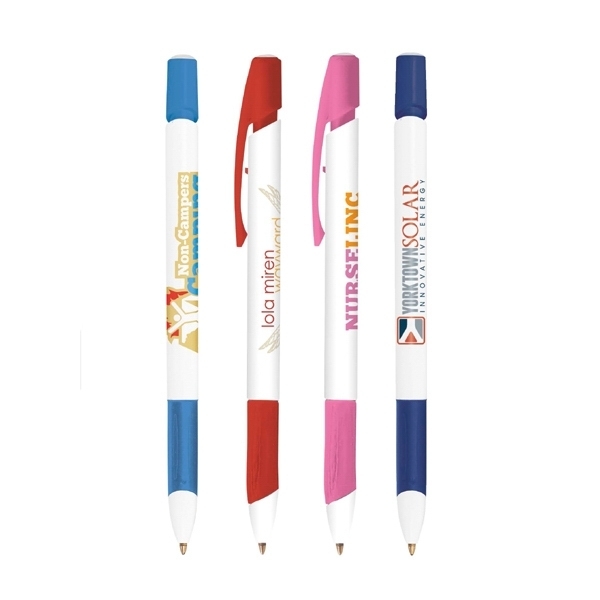 Order today and watch your brand awareness soar! 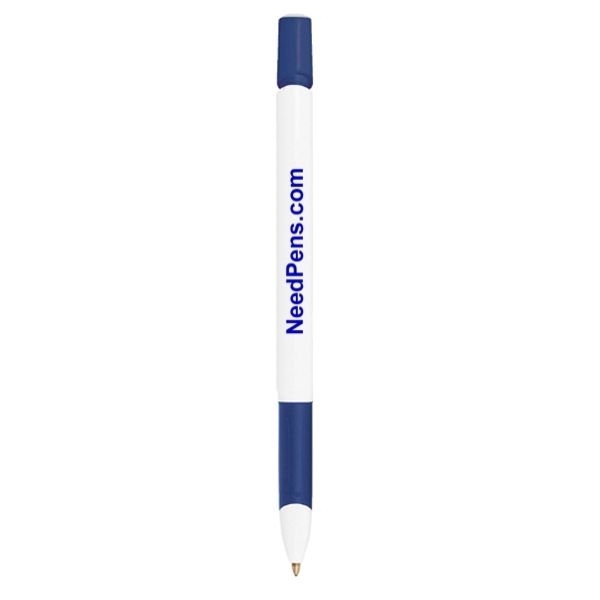 Product Features: Comfortable gripping section, white barrel with colored trim.